Yankees prospect, Slade Heathcott, added two more hits on Thursday, raising his spring average to .355. He also plated a run and scored in the contest. 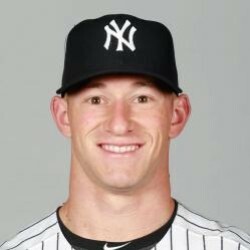 Slade Heathcott has been plagued by injuries throughout his minor league career and is looking to stay healthy and earn his shot in the Big Leagues. If the athletic outfielder can stay healthy, there is a good chance he could get his first cup of coffee in the Bronx this summer.